Located on the slope of mountains around Ba Be Lake, Pac Ngoi Village, which has over 40 traditional stilt houses, becomes one of the most attractive destinations in Bac Kan Province. In spite of the increase of modern architecture instead of the traditional stilt structure in many mountainous provinces nowadays, still having the antique, unique and original houses of the ethnic communities preserved in Pac Ngoi Village. 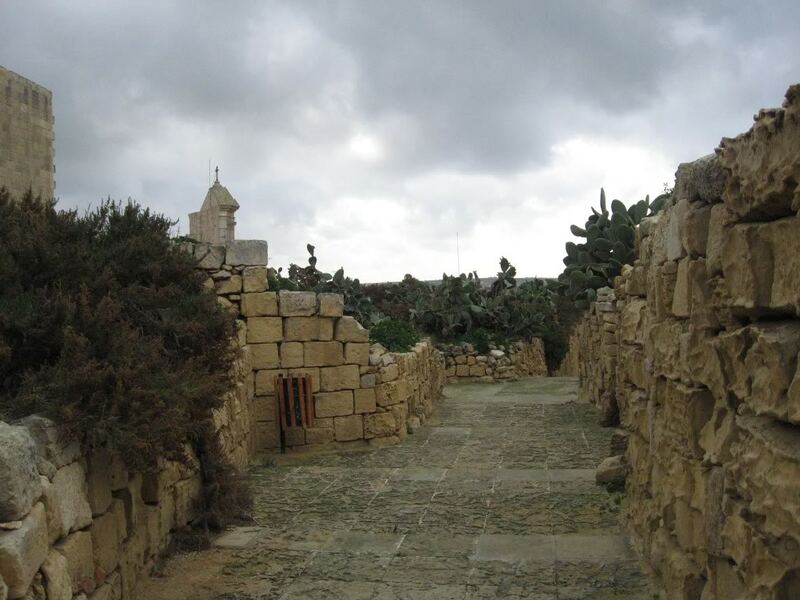 The local authority explained that it is not the shortage of money that makes the residents living in the antique traditional houses instead of inhabiting in modern structured houses. 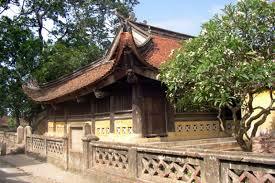 That is because of the high awareness of preserving the local ethnic heritage. They are willing to preserve those cultural values from disappearing ever, because they surely know that without these unique stilt houses, Pac Ngoi Village will lose its precious values. Tourists visiting to Pac Ngoi are not only entitled to witness with their naked eyes the most wonderful spot of Northern Vietnam: a plethora of austere yet interesting stilt houses blending themselves with the glimmering mist and the shinning Ba Be Lakes, but also to stay in the rhythm of the Tay culture. This assertion can be easily proven by the fact that visitors have to remove their shoes once they step the very first steps on the staircase of a stilt house. Inside the house, ethnic people gather around the gleaming fireplace, forgetting themselves in the sophisticate stories about the economy or the politic. Visitors just have chances to experience those special things in the remote area only. 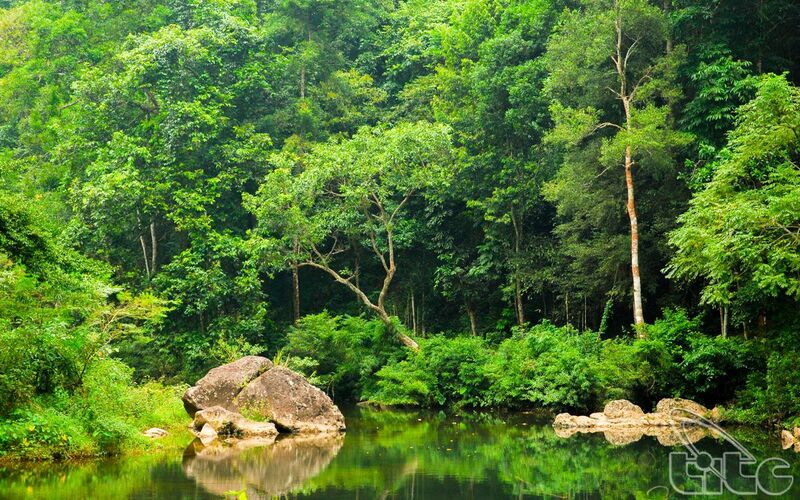 Ba Be National Park is located in Ba Be District, Bac Kan Province, about 250km from Hanoi and 70km from Bac Kan downtown. 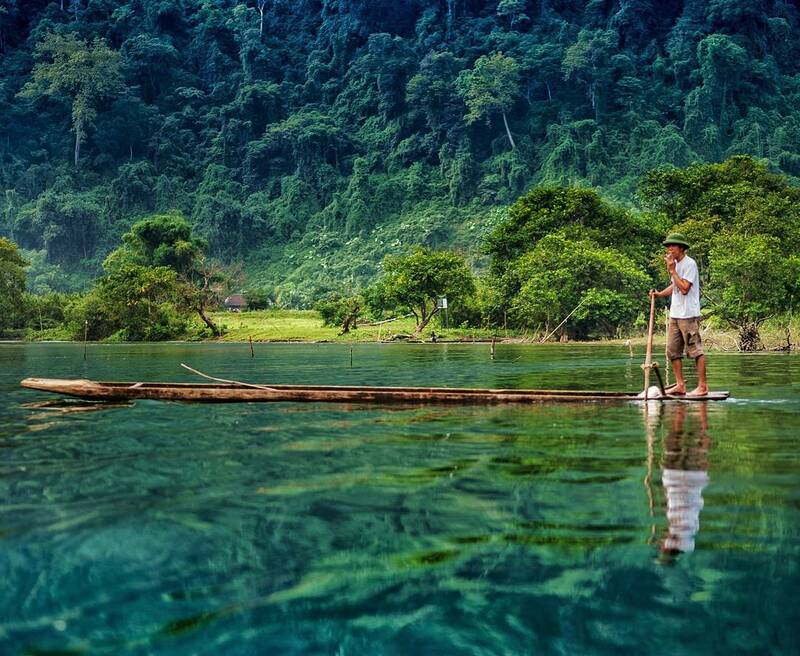 Surrounded by the largest tranquil lakes in Vietnam, the national park is the precious natural heritage of Vietnam with a unique and diversity of primitive forest on the stone mountains. The national park covers a total area of 23.240 ha which houses 417 types of plant and 299 types of animal. There are many valuable and endangered species that inhabit in this region. 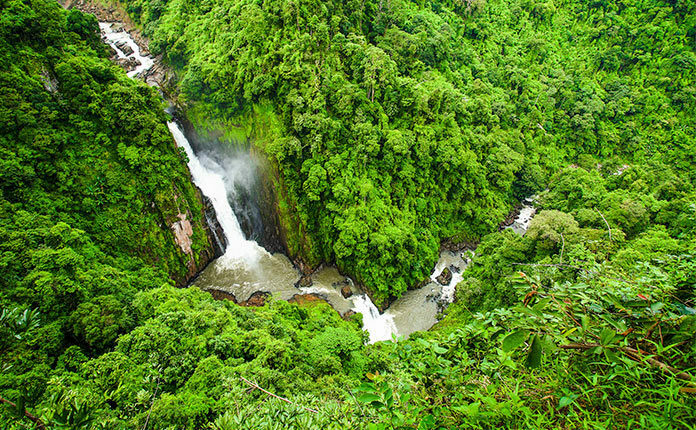 Coming to Ba Be National Park with the experienced and enthusiastic tour guides, tourists will not only experience the beauty of nature but be able to learn more about the traditional and cultural features of this natural park. 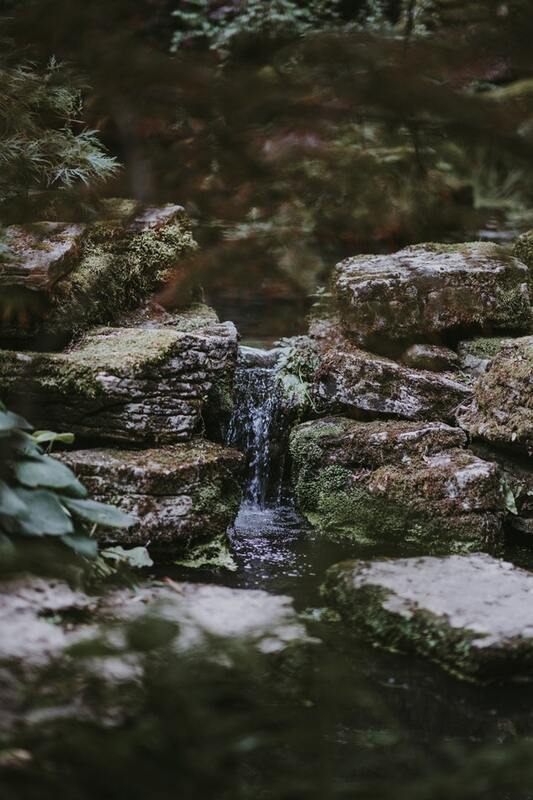 In sunny days, the scenery resembles a Feng Shui painting that mesmerizes even the most demanding visitors. The surface of the lake is flat and calm; it transforms the whole lake into a mirror that reflects the figures of the majestic mountains and the shining cloud. 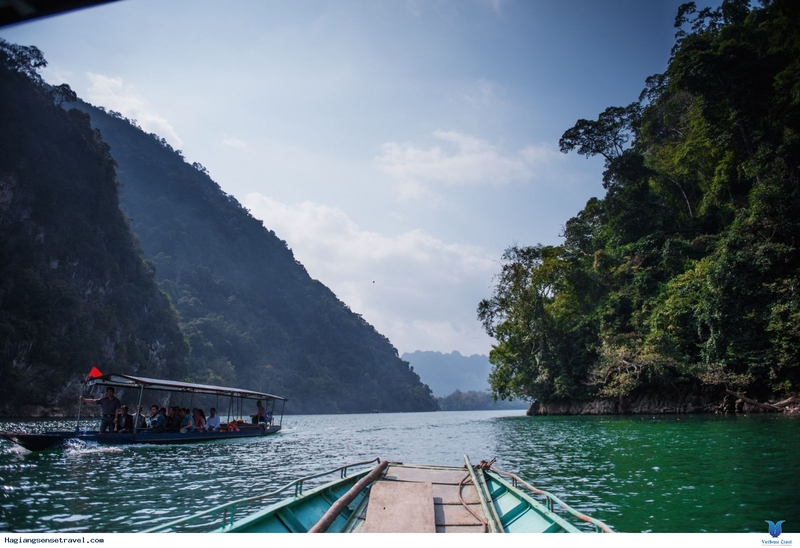 Particularly, the boat riders are the young Tay girls in black outfits standing on different boats, guiding travelers to cross the picturesque Ba Be Lake. Apparently, those local girls will be the knowledgeable amateur tour guides who continuously surprise you in your trip to discover this amazing plot. You will be also amazed to learn about the lives of the ethnic groups: their culture, their routine life, their myths, their traditions, etc. The inhabitants living here are extremely friendly so you can even have a chance to visit their house and experience for yourself the breath of Ba Be’s mountains and forests through the homestay tour. 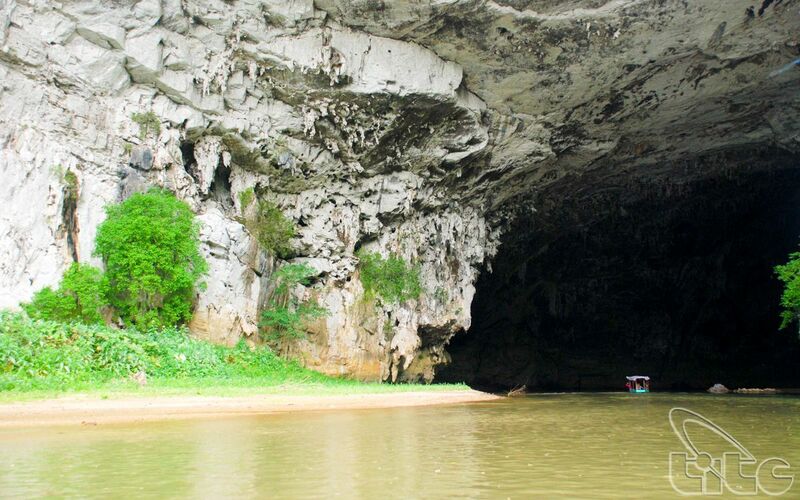 The Ba Be National Park is a complex including lakes, rivers, streams, forests, and caves. Mother Nature loves it too much that she decides to give Ba Be a warm weather in winter and a cool weather in summer so that it can become an ideal destination for people from everywhere to come, admire and cherish in just any season. “An Toan Khu”, meaning “safe zone” – Constructed during the revolution against the French, ATK is a complex of underground tunnels and rooms emboldened by a missile defense system in Cho Don (Bac Kan). 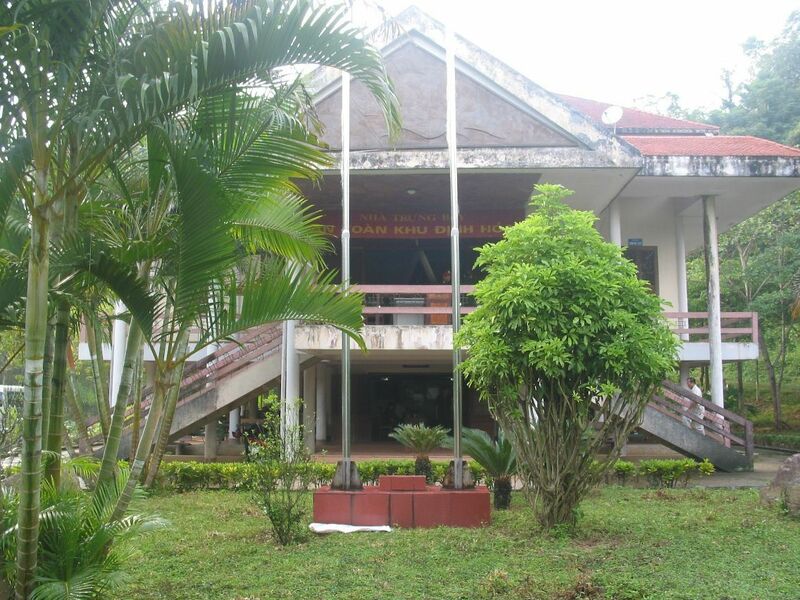 This unique and invincible complex was one of the most important venues of the Vietnam Army from 1946 to 1954, where President Ho Chi Minh and many other leaders gathered, discussed and made vital decision involving the destiny of the nation. In the long and unending war against the French’s colonization, Cho Don was chosen to be the Safe Zone of the revolution. 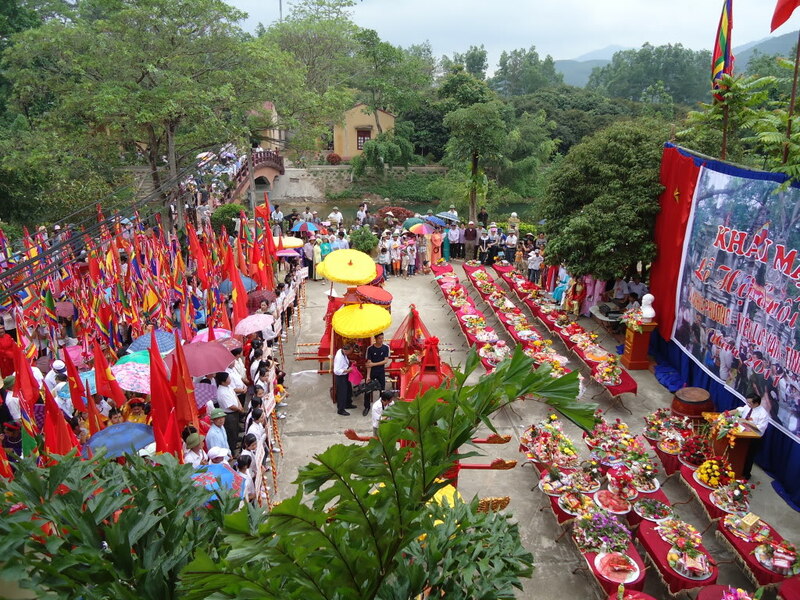 Since then, this land had welcomed and protected many Central Departments, as well as the most influential leaders of the Communist Party of Vietnam. In the time between 1947 and 1952, almost all of the Central Departments had their headquarters in Cho Don. As a result, the underground tunnels were built in order to protect the prominent leaders and officers. Deep down under the ground, a whole complicated system of paths, tunnels, rooms were created. The whole construction was covered with a defense system that is able to withstand bombs and bullets of the enemy. Coming to ATK in particular and Cho Don in general, tourists can not only visit many historical sites but also learn more about the lives of the local inhabitants, discovering their most beautiful cultural essences which can only be found there.